ENMAX Network WR 53277 2nd Street SW & 7th Ave - Robert B. Somerville Co. Limited. 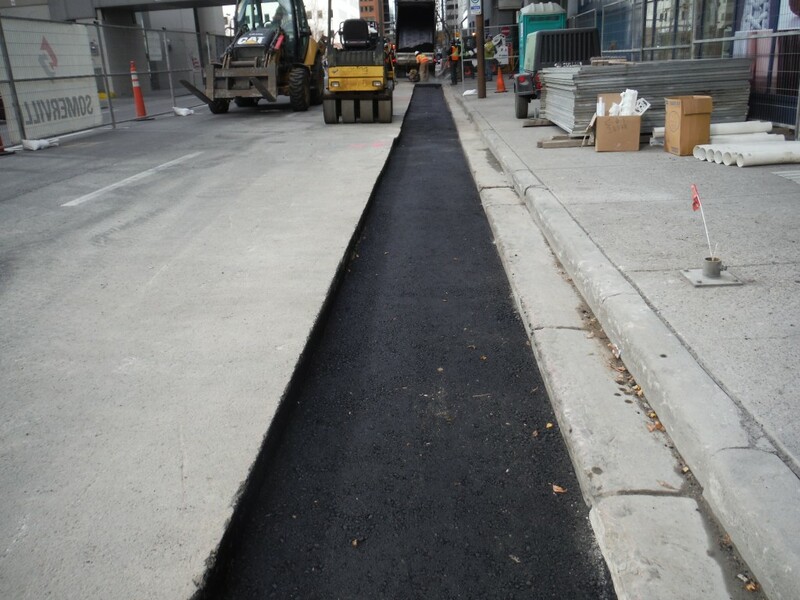 To upgrade ENMAX infrastructure in downtown Calgary, Robert B Somerville installed a new duct bank on 2nd St SW. In addition, a poured in place support beam was installed in the existing structure to support the wall & ceiling of an aging manhole. Challenges included working in an urban downtown environment (city streets) and in the proximity of live cables around the network vaults.